What is a Class A misdemeanor in Illinois? What is a Class A misdemeanor in Illinois? Hello, I'm Steve Fagan, from the Law Firm of Fagan, Fagan & Davis, an attorney practicing criminal defense here in Illinois, thank you for joining me. Let's talk about what a Class A misdemeanor is here in Illinois. Let's start with, what is a misdemeanor? There are a couple different kinds of criminal offenses in Illinois, most notably criminal offenses that are misdemeanors and criminal offenses that are felonies. Misdemeanors are any crime that is punishable by less than 1 year in jail, unlike a felony which is punishable by a year or more in jail. Now Class A misdemeanors are the most serious type of misdemeanors there are. Class A misdemeanors are punishable by up to 364 days in jail and up to $2500 in fines, plus court costs and fees. There are other dispositions very often available short of jail, and other parts of a sentence might include supervision or probation, community service might be required or some kind of treatment, such as anger management, a retail theft class, counseling or alcohol treatment or substance treatment, but the bottom line is Class A misdemeanors are dangerous even though there not felonies, they should be taken seriously, don't let the name fool you. 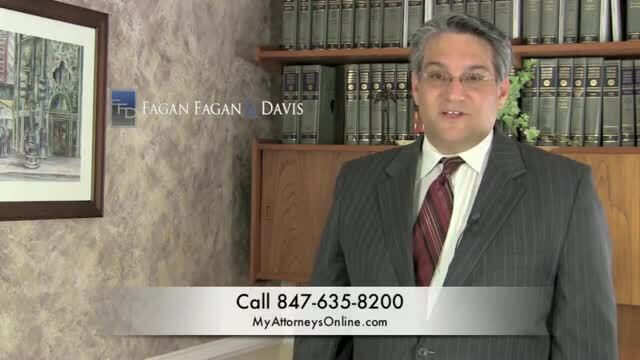 Thanks for joining me, my name is Steve Fagan, from the Law Firm of Fagan, Fagan & Davis. Give us a call and we'll be happy to talk to you about your case."